“I’m your servant—help me understand what that means, the inner meaning of your instruction” (Psalm 119:125 MSG). I tapped the eraser end of my pencil on the table. It’s not a new question. I’ve been answering it for years. 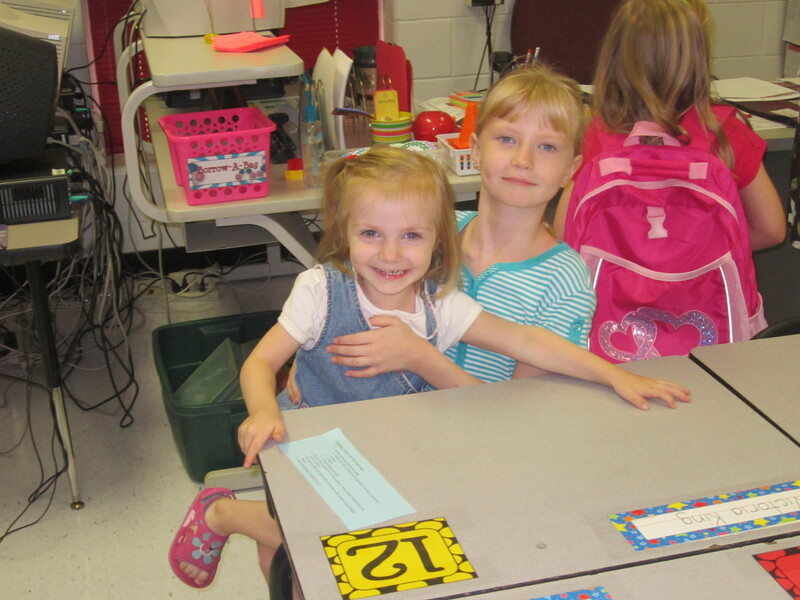 The first time I registered my oldest daughter for preschool, I sat in a child-sized chair and hunched over a child-sized table and completed the “Help Me Get to Know Your Child” form. Some questions were easy. What does she like? What are her strengths? I scribbled away for a while, trying to sum up my precious daughter in a few sentences on blank lines. But when it came to that one question—What do you want her to learn?—-tap, tap, tap went the top of the pen on the preschool table. Tap, tap, tap goes my pencil after Open House for second grade. Some things never change. What am I supposed to put on this form? Multiplication? Cursive? Powerful writing skills? Truly, I want her to know in a deep-down, unquestioning way that God loves her. I’m not talking about being able to rattle off John 3:16 or sing Jesus Loves Me. In her book A Sudden Glory, Sharon Jaynes notes that the first word for know here is gnosis or ginosko: “This word is not simply a head knowledge but an intimate heart knowledge,” like the “relationship between a husband and a wife.” (p. 173). Yes! I want her to love God with that passion and to be filled up with all that God has for her because she trusts and fully knows His love. And I want her to understand that growing in Christ takes time, a lifetime of time. There are no shortcuts to faith. After all, He always leads us forward, perpetually changing us, incessantly maturing us. His passion is transformation. This is my prayer for her. Not head knowledge or wisdom gained through book study and our teacher in these matters has to be more than human. Paul assures us that, “these are the things God has revealed to us by his Spirit. The Spirit searches all things, even the deep things of God” (vs.10). The deep things of God. Is that what I’m asking? He says it with such confidence. Not we want to have, we will have, someday we’ll have, or if we work hard enough we’ll have. God has given us His Spirit and with that, “we have the mind of Christ” (vs. 16). This is what I want my daughters to learn. This is what I want to learn. I want every day to know Him more, to be filled by His Spirit, responsive to His promptings, and for my mind not to be filled with self and with world, but with Christ. That’s what I write. But I pray for so much more. I pray for the deep things of God. I pray for the mind of Christ. It is definitely a life long process. I’ve prayed that prayer for both my children before they were even born – make them like Jesus, mind, heart and will. As adults, one of my children is praying that for herself now, but the other is walking away. I’m still praying. Yes, keep praying! I know you won’t give up on lifting her up to God and petitioning Him on her behalf. I haven’t used this book myself (my kids are still so young), but I know Stormie O’Martian has a book called The Power of Praying for Your Adult Children. I’m praying today that God draws your daughter back to Him.